SAN DIEGO, CA. 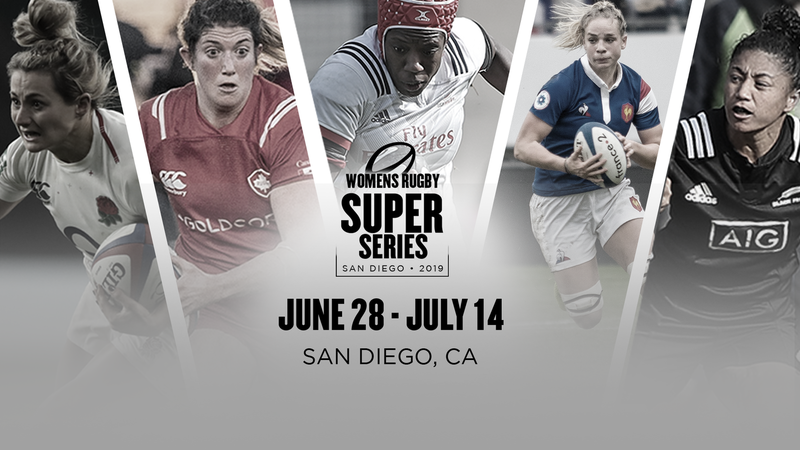 - USA Rugby will host the Women’s Rugby Super Series from June 28 to July 14, bringing together the world’s top five teams for a round-robin tournament spanning five competition dates in the greater San Diego area. Kicking off for the first time in three years and increasing from four to five teams, the Super Series will feature No. 1 New Zealand, No. 2 England, No. 3 Canada, No.4 France, and No. 5 United States. The tournament was last hosted by the United States in 2016 where Canada won the title and England claimed runner-up for the second consecutive cycle. Hosted in partnership with World Rugby, the Women’s Rugby Super Series 2019 serves as a meaningful step in generating more exposure for the larger women’s game and providing athletes with much-needed playing time. With teams all playing each other once, the event will bring a total of ten international test matches to a growing population of rugby fans in Southern California. Overall, two games will be played per day on June 28, July 2, July 6, July 10 and July 14 allowing both teams and fans multiple opportunities to experience high level competition. Each team will use one match date as a bye with the first four rounds taking place at the Elite Athlete Training Center -- also the training site for the USA Women’s and Men’s Sevens teams -- and the final round on July 14 happening at Torero Stadium. 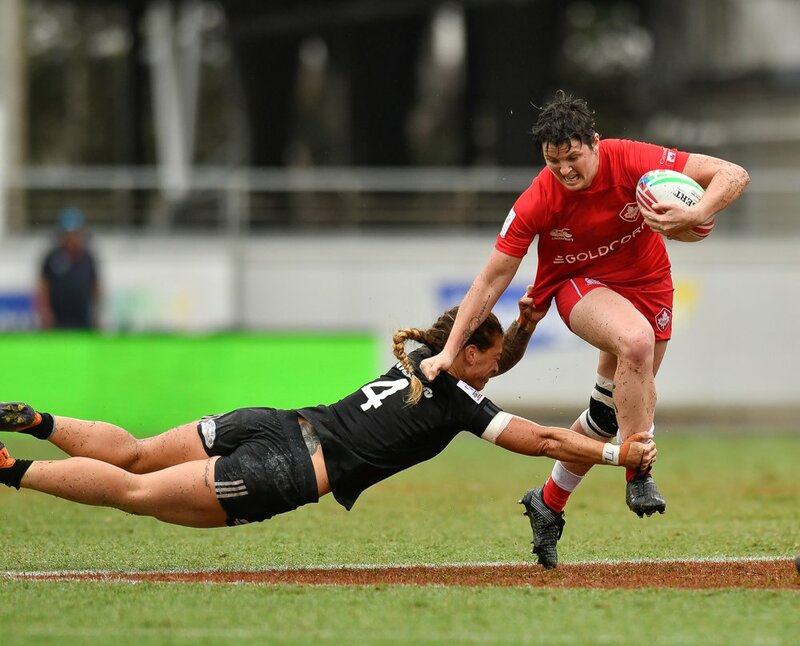 World Rugby Chairman Sir Bill Beaumont said: “As part of the women’s strategic plan, accelerating the global development of women in rugby, one of the key strands is to increase competitiveness of international rugby across the women’s game. 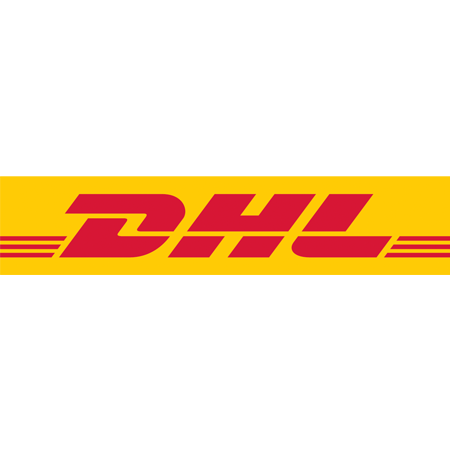 As part of the plan, World Rugby’s high performance programme is committed to providing targeted investment and support in order to achieve this long-term objective. Match timings and ticket information for the Women’s Rugby Super Series 2019 will be announced in due course. In the meantime, fans can sign up to be included in USA Rugby’s event presale list at usarugby.org/tickets. All matches will be broadcast LIVE on FloRugby.com in the USA. Broadcast details to come for Canada. Donate to the Monty Heald Fund to help on this tour and all others as our Women's XV work toward the Women's Rugby World Cup in 2021. The fund offsets costs out-of-pocket costs for athletes and allows them to focus on training and development and will help us build the best squad possible! The Women’s Rugby Super Series is an international competition which features the world’s top ranked national rugby teams in the 15-a-side version of the sport. Held in a round-robin format, the tournament was first introduced in 2015 in Canada where New Zealand claimed the inaugural title and England came runners-up. For the first time since its inception, the Women’s Super Series will increase from four to five participating teams in 2019 with the last iteration held in 2016 in the USA. The competition aims to provide players with highly competitive test matches to boost playing time and increase exposure for women’s rugby in the world. Matches contested in the Women’s Rugby Super Series count towards world rankings.